Our focus on turning Pernod Ricard brands into Canadian passion brands is aimed at maximizing commissions earned on these products. Through our affiliation with Pernod Ricard (PR), Corby represents a long list of leading international wine and spirits brands in Canada. Many of these brands are in high-growth, premium categories and earn us sizeable commissions. We make the most of our opportunities through bold and creative digital, social and experiential marketing strategies. Absolut vodka is the world’s number one premium vodka brand, and is equally loved by Canadians. Shipment volumes in Canada rose by 7% in fiscal 2017 to 614,000 cases. Part of Absolut’s magic comes from its association with art and culture, and its long-standing support for diversity and inclusion. Its limited edition bottles are works of art in and of themselves. In fiscal 2017, we launched the limited edition Absolut Canada bottle in celebration of Canada’s 150th birthday, and relaunched the acclaimed Absolut Mix bottle in honour of Pride month. We also introduced Absolut Lime to Canada in time for summer 2017. The product has performed very well in the US, as consumers seek out more natural flavours. We expect the same to be true in Canada. Absolut Lime uses all natural ingredients and no added sugar. What’s more, lime is a leading flavour profile in many of the most-consumed cocktails, making Absolut Lime perfect for bringing a fresh taste to every occasion. 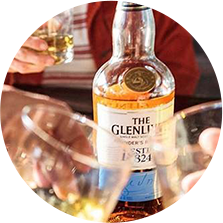 Jameson Irish whiskey and The Glenlivet single malt Scotch whisky are the two main imported whisky brands in our PR portfolio, and both are winning over whisky drinkers in Canada. Jameson shipment volumes grew 16% in 2017, a third consecutive year of double-digit growth. 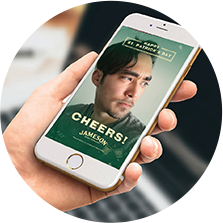 Jameson benefits from a variety of creative activations and strong endorsements from bartenders. Our Canadian team rolled out Snapchat filters for people who tend to “forget their green” on St. Patrick’s Day. The campaign got a huge response, with close to 1.4 million swipes (impressions) and 3.8 million views of snaps sent directly to a friend or viewed through a friend’s Snap story. The Glenlivet Founder’s Reserve continued to bring new and younger consumers into the single malt Scotch whisky fold, and shipments have now surpassed 20,000 cases nationally. The Glenlivet #Scotchcart tasting experience was a hit in offices across Canada. Companies applied to have our Scotch whisky brand ambassador visit their office to conduct tutored tastings. For Father’s Day, consumers who purchased a bottle of The Glenlivet could go online to build their own personalized label and create a unique and memorable gift for dad. We brought Martell cognac back to Canada, where it is renowned for its vibrant heritage and exceptional quality. One of the most iconic and historic brands owned by Pernod Ricard, Martell Cognac has a rich, 300-year-old history, honouring a craft and taste that has been passed down from generation to generation through the Martell family. In celebration, we partnered with several Toronto bars and restaurants to launch a 17:15 Afterworks series of events – a post-work drink occasion featuring complimentary sidecar cocktail tastings served from the Martell Cognac sidecar bar. At each event, the Martell brand ambassador was on hand to educate fans about Martell’s exceptional craftsmanship and unique processes of distillation, ageing and blending. Both Havana Club rum and Beefeater gin had positive years in fiscal 2017, with increased sales and market share.